Quincy Jones, Bette Midler, Aretha Franklin, and Johnny Mathis all share one voice in common. Her name is Paulette McWilliams. Anyone with a pulse has heard the voice of Paulette McWilliams. Those inclined to inspect liner notes have certainly seen her name. Over the last four decades, she's emerged as the consummate vocalist, equally at home in rock, R&B, jazz, house, Broadway, and jingles, with hundreds of local and national commercials to her credit. However, McWilliams' story may not be as widely known as her voice. Her professional singing career traces back to Chicago where she held the lead spot in Rufus before enlisting her friend Chaka Khan. Quincy Jones then introduced McWilliams and the Brothers Johnson on his Mellow Madness (1975) album. McWilliams soon became a mainstay in both the New York and Los Angeles studio scenes, and dueted with icons like Johnny Mathis and Marvin Gaye. All throughout, she won the admiration of musicians and fellow vocalists. "Her intonation is impeccable and her melodic interpretation is not only creative and interesting, but warmly inviting", says Terri Lynne Carrington. "The vocal jazz tradition has been authentically passed down to Paulette from her stellar predecessors." Indeed, McWilliams can turn a jazz phrase with the best of them. She once traded verses on Benard Ighner's "Everything Must Change" with no less a legend than Sarah Vaughan. Given her illustrious albeit largely unsung career, McWilliams readily identified with many of the stories in 20 Feet from Stardom (2013). In fact, she's a common thread between many of the singers documented in Morgan Neville's Oscar-winning film. For more than 20 years, she recorded and toured with Luther Vandross, sharing background vocals with Lisa Fischer and Cindy Mizelle. Both McWilliams and Darlene Love sang on the Vandross-produced Jump to It (1982) by Aretha Franklin. When Michael Jackson's "Don't Stop 'Til You Get Enough" rocketed to number one in 1979, it was McWilliams shadowing Jackson's voice on the hook, while she and Patti Austin sang (uncredited) on "Rock With You". Like Charlo Crossley, McWilliams also had a memorable stint as one of Bette Midler's Harlettes and appeared in both the Broadway production and touring company of Divine Madness. Mirroring many of the interview subjects in 20 Feet, McWilliams has also struggled to achieve success a solo artist. Thirty years passed before McWilliams recorded a follow-up to her solo debut Never Been Here Before (1977). Released in Japan, the independent Flow (2007) was followed by her album-length collaboration with Tom Scott, Telling Stories (2012). As McWilliams attests in this career-spanning interview with PopMatters, it's never too late for a breakthrough. 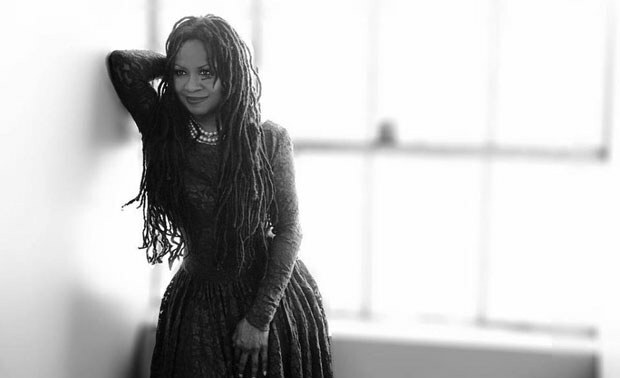 In January, she and the Nat Adderley Trio headlined at Joe's Pub in New York. Later this year, she'll appear at the Baltic Jazz Festival and will also help launch the U.K.-based Jazz and Blues TV. In the midst of it all, she's preparing material for her fourth solo album. Two-thousand fourteen just might be her best year yet. Paulette, I'm so glad we're taking some to revisit your career. There's a lot of ground that I want to cover with you. First, let's go back to the beginning — Chicago. Is that where you grew up? Were there any specific musicals that captured your imagination? Oh my gosh. To name one would be to name a lot! Singin' in the Rain (1952) with Gene Kelly. Judy Garland musicals. Doris Day musicals. Fred Astaire and Ginger Rogers. Bill Robinson and Shirley Temple. Sammy Davis, Jr. Any movie that had any music and any performing in it I'd watch over and over again. My mother couldn't turn me away. Then there was the music that came on the radio that my mom would listen to. Blues and jazz. Those were the first things that I was introduced to because my mom would sing that. She had a beautiful voice. She'd always sing Dinah Washington songs. She also liked Dakota Staton, Ella Fitzgerald. She loved Aretha Franklin and Gladys Knight. My mother liked the guys: Joe Williams, Billy Eckstine, Brook Benton, Harry Belafonte, Johnnie Taylor. She would sing all their songs. Then on Sunday she'd listen to Mahalia Jackson. Growing up as a teenager, I listened to the Marvelettes, the Supremes, all of Motown, the Beatles, everything everyone else listened to. Did your mom want to pursue singing at all? Yes, she said that if she had had an opportunity, she would have wanted to pursue singing. The kind of life that she had was a life filled with oppression. She had to drop out of school in eighth grade because her mom died and her father married again. They made her the babysitter. Her cousins were all going to school, going to college, and pursuing careers. My mom never had that opportunity. It was very hard for her. Yes, I can imagine that would have been difficult but it's great that she helped nurture your talent. At what point did you begin to pursue singing professionally? I never knew anything else. It was my only focus all my life. I think some people choose it because it looks glamorous. I chose it because it really elevates my soul. I really do feel my soul lifted every time I sing. I've sung every single genre there is, except for opera. I don't feel I'm an opera singer, but if you came to me and gave me a piece and said, "Approach this as a contralto", I would make an attempt. I'd go and find out exactly how I would approach it in a way that would be professional and that would give that particular genre the respect it deserves. I loved when Aretha Franklin sang "Nessum Dorma" at the Grammy Awards. I thought, I don't know how technically correct she is, but I do know that she invoked feeling. To me, that result is the most important thing. When you make people feel something, I don't care what genre you're singing, then you've done something. Delving a little more into styles, tell me what was happening, musically, in Chicago during your teenage years. R&B and group-singing. I had my own group, Paulette & the Cupids. There was a girl named Diandra. Another girls's name was Eleanor. They were friends of mine. We went to school together. We choreographed steps together. We'd do songs by groups like the Shirelles and the Marvelettes. We'd do songs like "Don't Mess With Bill". When I was 15, I wrote a song. There was a station in Chicago. It's still there I think, WVON. Herb Kent the Cool Gent and E. Rodney Jones played my record. My manager was the same manager who managed Jan Bradley ("Mama Didn't Lie"). His name was Don Talty. Jan introduced me to Phil Upchurch. Phil and I became friends. Wow! So your history with Phil Upchurch goes way back! How did young Paulette Johnson get from Paulette & the Cupids to Ask Rufus? By the time I auditioned, they had the other singers sing with me in order to see if they could harmonize with me. They didn't hear anyone else that they liked and then somebody brought this girl, I think she was from Alabama. They ended up wanting one girl and they chose me. They thought I was really cool because they could see that I was passionate about being there. Around the same time they got me in the group, they got this real funky organist by the name of Kevin Murphy. Then they got this other funky guy named Ron Stockert. We started doing college gigs all over the Midwest, the South, parts of the East Coast, all college towns. My mom and dad were okay with watching my daughter when I would go out. They saw the kind of money I was making. In one weekend I'd make $500 or $600. They thought, there's no job that's going to pay her like this. The post office didn't pay like this! I can imagine! I didn't realize you were with the band when it was still called the American Breed. Why did the group change its name to Ask Rufus? Well, the reason they wanted to get the girls in the group was because American Breed wanted to move from their bubblegum image and start competing with the likes of Sly & the Family Stone. Our managers were Bob Monaco and Jim Golden. Their company was Ashley Famous. They told us that we had to change our name. The first name we came up with was Smoke. We had the name Smoke for about three weeks. Then we found out that there was some group who had the name already. We were really pissed because we loved the name Smoke. Then we were in Minnesota somewhere. Jimmy Stella was reading Popular Mechanics. He said, "I know what our name should be. Ask Rufus!" We looked at each other like, What? There was a column called Ask Rufus. That's where it came from. It was out of nowhere and made no sense at all — that's why he thought it was cool. Everybody ended up loving it. What was the band's repertoire like at the time? What songs would the band have been doing in concert? Al Ciner the guitar player had written some songs. Charlie had some ideas. So did Gary Loizzo. We did some of the songs that they had been doing as the American Breed, but we tried to hip them up a little bit. Charles Colbert, myself, and Jimmy Stella were the three front-people. We were doing stuff like "We Can Work It Out" but funkier, "If I Were a Carpenter" — Charlie and I did that as a duet. Then we did a song called "Follow the Lamb". I'd say if you listened to the songs now, they sound like rock and roll. Some of them have a little bit of a country flair and some of them are funky. We were black and white. You couldn't put a label on what we were. We were traveling all over. We went to the south of France. Everywhere we played, we sold out. We were playing all the hippest clubs in Chicago: Rush Up, Rush Over, Mother's. You could not get in unless you got there early. Odetta would come and see us, so would Baby Huey and the Babysitters, Joyce Kennedy. The 5th Dimension were friends with Charlie. They would jump onstage with us. That's how big we were. Hair was playing at the Shubert. Members of the cast would come all the time after the play and sometimes get onstage with us. I love your vocals on "Brand New Day", which Epic released as a single in the early '70s. By that time, Ask Rufus trimmed the name to just Rufus. At what point in the timeline did you meet Chaka? My husband Howard, who I married when my daughter was three, was best friends with Hassan Khan, Chaka's husband. They were saying to Chaka, "You got to meet Paulette. She's great!" Chaka came downtown. She and I met. We were like two peas in a pod. We were best friends. We went everywhere together. I introduced her to her first wig and her first leather jeans. The first time I heard her sing, I almost ran into a street pole! She was in the back of my Dodge Dart and she started singing Stevie Wonder. I thought, Whoa, what was that? I always thought she was genius. I felt like it was my duty to help her. I got her her first commercial. There was a group called Life that was started by a guy named Cash McCall. He called me up and said, "Paulette, I got this group I want you to be part of." I said, "Cash, I can't. I'm in Ask Rufus." We were hot. I said, "One of my best friends is an amazing singer. Her name is Chaka Khan." I got her that gig. This is what truly, honestly happened. When did Chaka end up joining the group? We got Andre Fischer and Willie Weeks into Rufus after we got back from the south of France. The members were changing and the energy was changing. My daughter was getting older. I missed my time with my daughter and I felt like I needed to be around her. I decided to leave Rufus. The group was still popular and people were still coming to see us everywhere we played but I was ready to go. They were really upset with me. They said, "Who are we supposed to get to take your place? Will you help us find someone to take your place?" I said, "Well I have someone in mind." This was the gist of the conversation. I told them Chaka. They said, "Who's Chaka?" They didn't know anything about Chaka except for the fact that she was my friend. They had not seen Cash McCall's group. I said, "You've seen my friend around." "Can she sing?" "She's great." "Okay, well, can you be onstage with her for a few weeks until she learns all the songs?" I said, "Absolutely. I'll do all of that." That's what I did. She and I were onstage. We even did some college gigs together. After you left, Rufus released that first album with Chaka in 1973. What happened between your leaving Rufus and joining Quincy Jones' Body Heat tour? I started doing lots of commercials and jingles. I was making money and taking care of my daughter, hoping to get a record deal. I was doing some gigs with some of the guys that had left Rufus. I jammed at Ratso's, which was a club in Chicago. I would go there and hang out with Upchurch. Tennyson Stevens and Donny Hathaway had become friends of mine. I had a really crazy manager by the name of Barry Fox. Donny and myself and Upchurch were up in his suite. Donny was playing this song. Upchurch and I went into the studio and did this song that Donny and Tennyson wrote called "Tally Rand". I recorded it and Phil sent it to Quincy Jones. Quincy called me not even a week later! I was at my mama's house on the South Side, cooking greens, singing songs, and I get a call saying, "Hello? Is this Paulette McWilliams?" "It is." "Paulette, this is Quincy Jones." I said, "Huh?" I started laughing. "No baby, this is Quincy Jones. My friends call me Q. I'm doing a tour and need a lead singer. I want it to be you." I hung up the phone and I screamed. My mother said, "What's wrong with you girl?" I screamed, "Quincy Jones wants me to come to LA! He wants me to do a tour!" He flew me out business class and I stayed at this hotel called The Players. It was the first time I'd traveled like that by myself. After I got in my room and put my stuff down, I hear knock-knock-knock. "Who is it?" "It's Cannonball. Q told me to come and make sure you're okay." I opened up the door. Standing there was this big guy who looked like a bigger version of my friend Nat Adderley, Jr. — though I didn't know Nat then. He said, "I'm Cannonball Adderley." He shook my hand and sat down in the chair across from me. He just started talking. We talked for two-and-a-half hours. He said, "You're getting ready to have a life." I have to tell you this story! Quincy called me "Baby Girl" and said, "You remind me of Sassy." He would tell me stories about him and Sassy (Sarah Vaughan) and Ray Charles. We toured the states and when we got to Tokyo, he surprised me. While I was singing "Everything Must Change" and getting ready to go into the second verse, Sarah started singing, "The young become old and mysteries do unfold …" I turned around. Q's conducting the orchestra and he's got tears in his eyes. He's looking at me and I'm looking at him and all I could think of was, "Oh my God. I'm singing onstage with Sarah Vaughan!" The moment was captured. I got a picture of it and there's a recording of it somewhere. The sound was phenomenal. That night, she and I hung out. The bodyguards took us to the grocery store. The guys played cards in Quincy's suite while Sassy and I made greens. We had a ball. We were up till daylight. Wow! That is once-in-a-lifetime. I assume that right after the tour is when you wrote and recorded "Mellow Madness" with Quincy? Yes. Quincy told me we were going to write and do this song. I didn't have that kind of experience. I just went in and went for it. We went into the studio and I basically ad-libbed on top of the tracks. "So insane the tender pain." That's how that all came about but at the time, I was never confident about being a quote-unquote "R&B singer". I still considered myself a jazz singer. Well, the results speak for themselves. I also love the arrangement of "My Cherie Amour" on that album. I know you, Leon Ware, and Minnie Riperton all sang on that. Had you known Minnie in Chicago when she was a member of Rotary Connection? Well yes! American Breed and Rotary Connection were all out of the same booking agency. Rose Mann, also a friend, who now owns the Record Plant, was working with Jim Golden and Bob Monaco as a booking agent. We did many gigs together. I thought Minnie was brilliant. She was soft and sweet. Her notes? Oh my God. They were in the stratosphere.